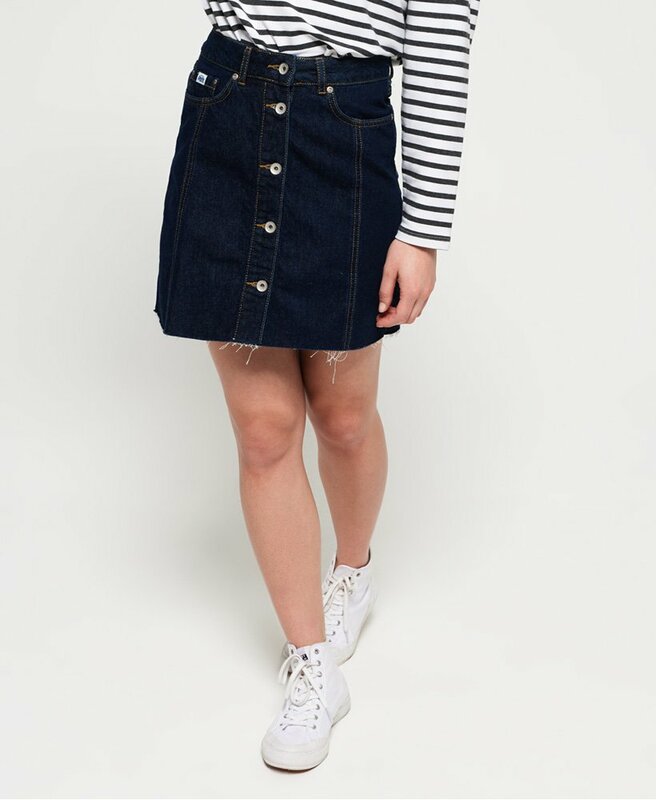 Superdry women's denim a line skirt. Denim skirts are a classic, and combined with an a line style, this is sure to become your new wardrobe staple. This skirt features a button down front, belt loops and the classic five pocket design. The skirt is completed with a logo badge on the coin pocket and leather logo patch on the rear if the waistband. Pair this skirt with a t-shirt and trainers for easy, everyday styling, or dress it up with a lace top and boots for the evening.